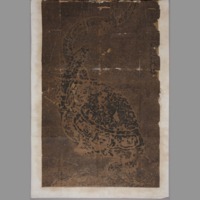 Large tinted paper print, probably from stone slab, featuring tortoise and snake. 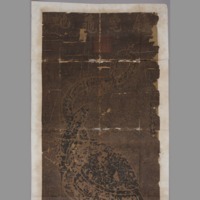 Inscription at top: 鎮宅龜蛇 ('Tortoise and snake that protect the house'). 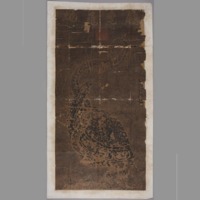 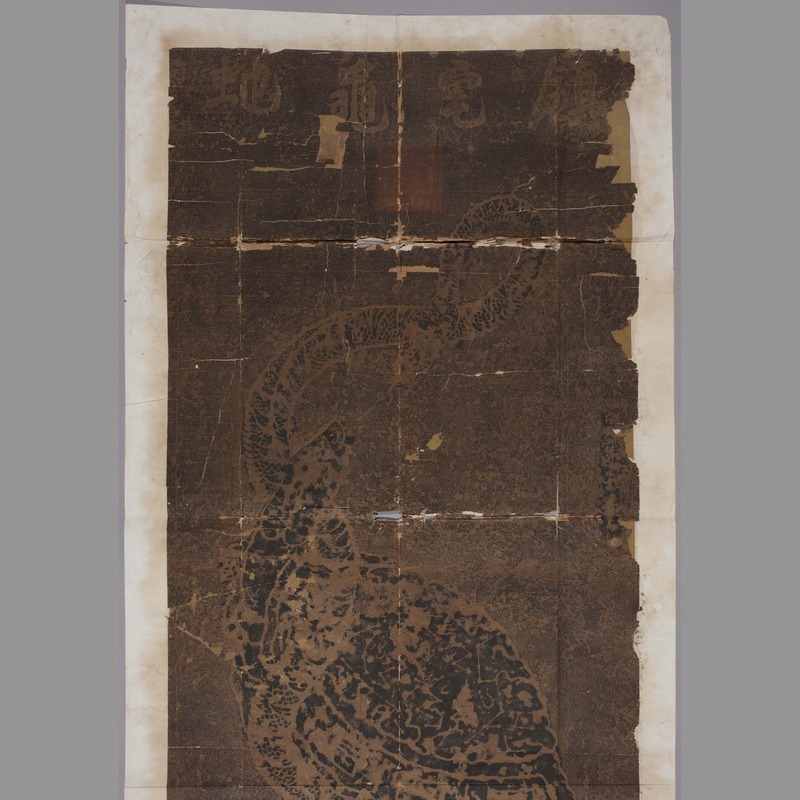 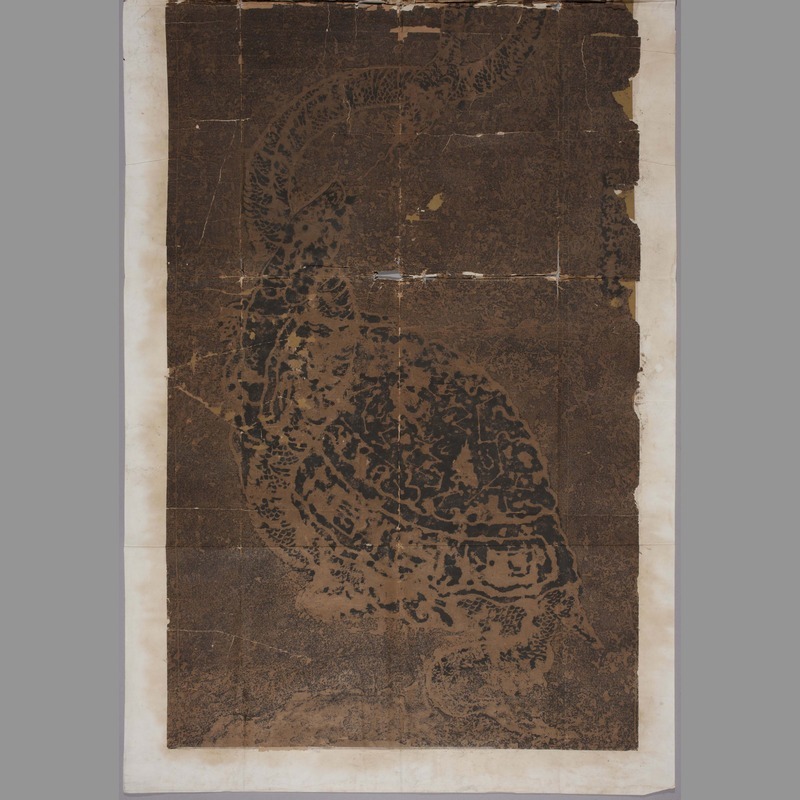 “Print: tortoise and snake,” China, Art and Cultural Diplomacy, accessed April 22, 2019, http://rewialleyart.nz/items/show/1258.